The Pale Olive Larva is a simple as they get but it continues to fool countless tailwater trout. 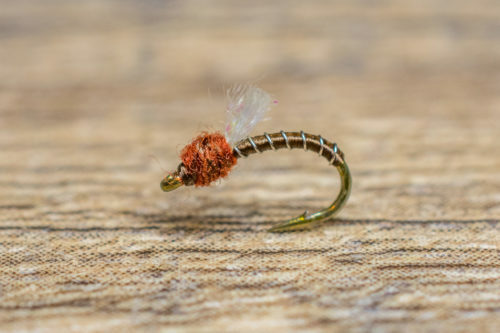 Midge larvae are an important food source for trout year-round because they get knocked loose from the substrate and drift continuously in the water column. This is a phenomenon referred to as constant drift. One of our favorite times to fish this pattern is during a flow increase (downstream demand or generate power). When the water levels rise, midge larva get swept from the substrate creating a feeding frenzy. The Pale Olive Larva should be fished near the bottom of the substrate where the greatest concentrations of larva are found. 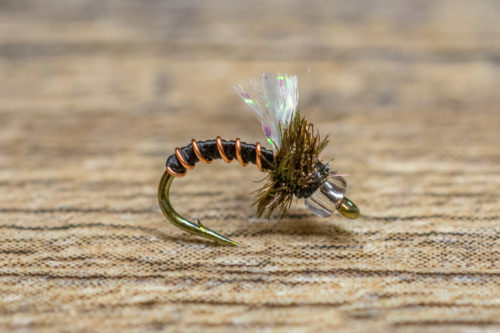 We fish the Pale Olive Larva in a tandem nymphing rig as a lead fly, trailing one or two other midge imitations off it. 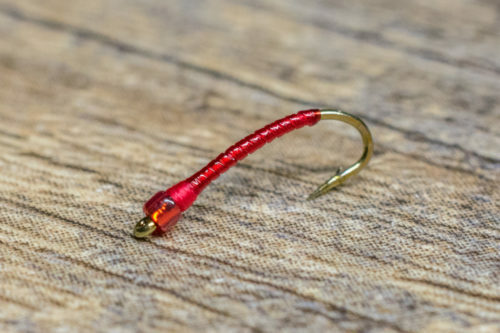 Droppers of choice include Black Beauties, Top Secret Midges or Manhattan Midges. Opportunistic trout eat midge larva opportunistically because they are constantly getting knocked loose from the substrate. 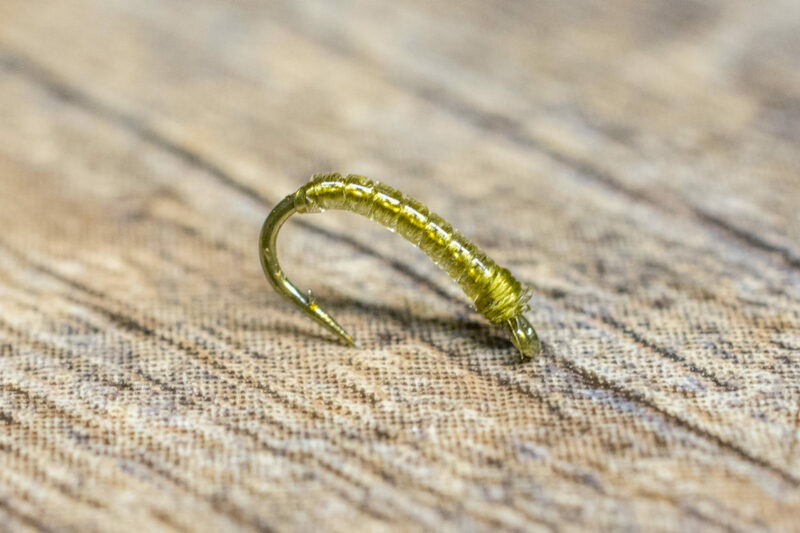 In most cases, opportunistic trout do not waste any time grabbing a midge larva that is helpless in the current.